It is no secret that fans and media alike are constantly giving their opinions on matters. During any given NHL game you can login to Twitter and see opinions being given by fans, bloggers, and the main stream media, heck even some times you can catch an opinion from one team on the contract a rival team offers a player. Fans will battle among themselves as to who is the greatest skater or the toughest player; but what do the players have to say? The NHLPA conducted a poll, in conjunction with CBC’s Hockey Night in Canada, on some of the toughest questions about players in the league today; now we can take a look at where the Detroit Red Wings really fall in the minds of the players. -Darren Helm came in 5th behind Runners Up Sidney Crosby, Patrick Marleau and Duncan Keith with 5% of the vote. -Red Wings Captain Nicklas Lidstrom took 15% of the vote to put him in third while separated from teammate Datsyuk by only Sidney Crosby. -Jimmy Howard was the last Runner Up with 3% of the vote coming in behind Pekka Rinne, Tim Thomas, Carey Price and Mikka Kiprusoff. 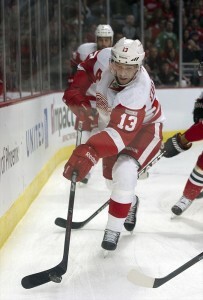 -Darren Helm was the second Runner Up with 10% of the vote. -No Red Wings made the list – but I am going to add an honorable mention for Valtteri Filppula and Tomas Holmstrom as those outside of Detroit (and often even in Detroit do not recognize them). -No other Red Wings listed; but Sidney Crosby got 20% of the vote. -Nicklas Lidstrom had 13% of the vote for third while Henrik Zetterberg had 4% of the vote to tie with Jets Kyle Wellwood for 5th in voting. -Pavel Datsyuk came in third with 6% of the vote. -Nicklas Lidstrom came in at third with 6% of the vote. -No Red Wings Runners up. -Not shockingly the Red Wings were not Runners Up. -Again… not shockingly the Red Wings were not Runners Up; however the Predators took second so it looks as though the players think the Central Division is underrated. -Head Coach Mike Babcock tied Dave Tippett for third with 8% of the vote. -With two new assistant coaches this season it should not be a shock that the Red Wings did not have a representative on this list. 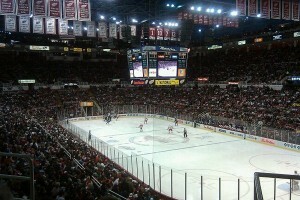 -With 6% of the vote Joe Louis Arena came in 4th in player voting to be their favorite arena to play in. -Followed by the Tampa Bay Times Forum… what is this you say? The ice isn’t any good in Florida? WhodaThunkIt. -Detroit came in second with 13% of the vote. -Guess it is a good thing they are building an arena. Want to check out the rest of the results? Head over to the Players Poll .